In this episode we take on that taboo. Most women work, and when we miscarry we’re often recovering physically and psychologically in the workplace. Often, our colleagues will have no idea we were ever pregnant. But they may wonder why we seem upset or distracted. In this show you’ll meet three women from three different countries, each with a different experience of pregnancy loss and work. Jorli Peña was working for a US corporate giant when she had her first miscarriage. It was not to be her last. Ceri Angood Napier had spent years trying to get pregnant when she finally got good news, quickly followed by bad. She then had to work out what, if anything, to tell her team about why she’d been off for two weeks. April Boyd suffered the loss of her daughter Nora soon after her birth in 2013. She runs the Love & Loss Project, helping people who have suffered infant or pregnancy loss cope with the world they come back to afterwards. I’d love to hear from you - please post a comment below. So many women stick around in jobs they've had for years, unsure of their next step. In the first part of this episode we look at why it can be so hard to move on even when we know we should. We talk to Danielle Maveal, who found it incredibly tough to walk away from her job at Etsy, and to Terri Boyer, who now directs the Institute for Women’s Leadership at Villanova University. In part two we talk about emotions in the workplace. Is it OK to cry openly (really?) or should we stick with the conventional advice to flee to the bathroom? We learn from author Anne Kreamer about gender and the science of tears. And we meet Kim Norris, who has to watch her tone of voice and expression pretty much all the time for fear of being misunderstood. Further reading: McKinsey and Company and Lean In recently came out with their 2018 report on Women in the Workplace. Many women will take time out of the workforce at some point in their careers. But getting back in can be notoriously hard. In this show we meet Lisa Unwin, co-author of She's Back. We discuss how to change your attitude to persuade an employer (and yourself) of your worth, how to frame an absence from the workforce, and why career and motherhood have a lot in common with a game of chess. Further reading: ‘It’s Time to Change Your Strategy on Hiring Women’ by Lisa Unwin, via Thrive Global. ‘Meet the Women who want to Crack the Return to Work Problem’, via the Daily Telegraph. 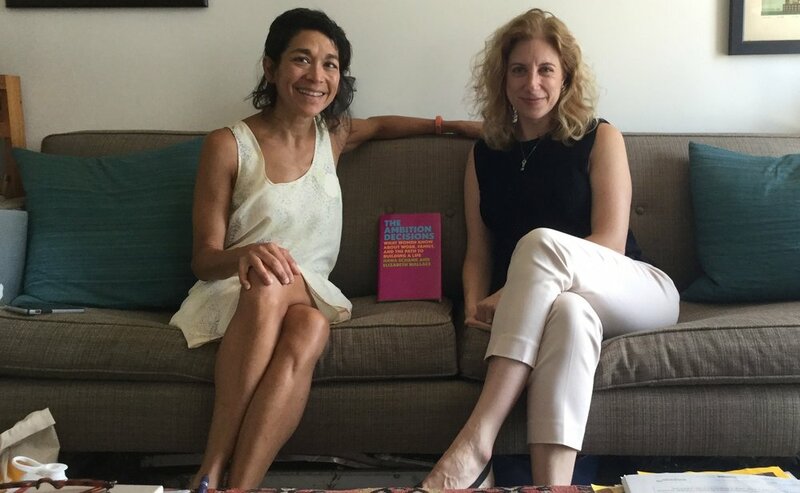 Here’s the article Lisa and Deb wrote comparing motherhood and career to a game of chess (and advising you how to play) via Strategy + Business. Why ‘I’m a Mum, I’m Looking for Part-time Work, is the Wrong Way to Start’ by Lisa Unwin, via Thrive Global. The US midterm elections are just around the corner. 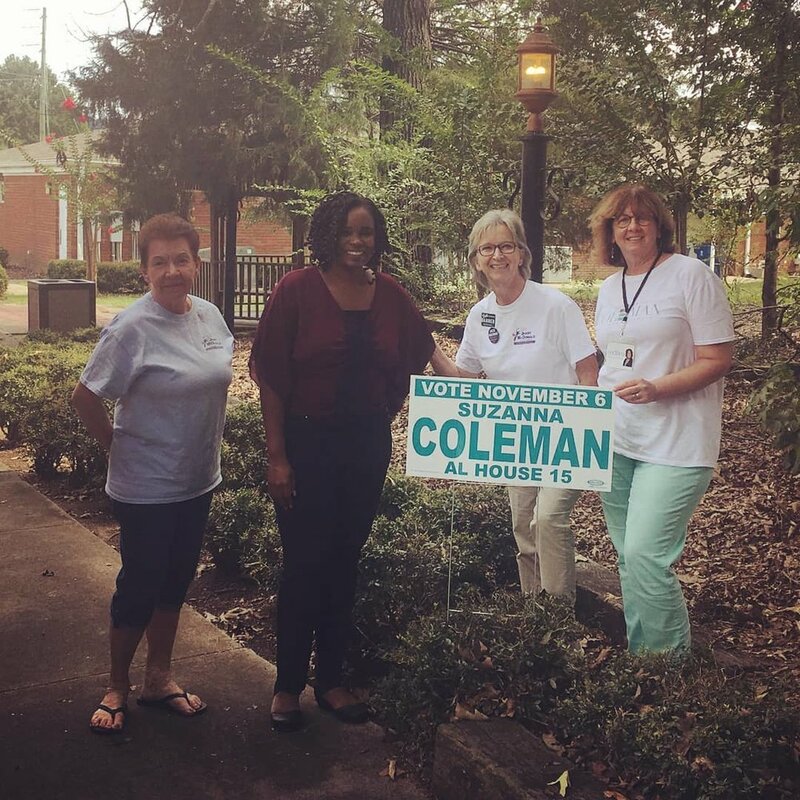 In this episode we meet two women running for office for the first time, Suzanna Coleman and Morgan Murtaugh - one Democrat, one Republican. Each woman faces a challenge on November 6th. Suzanna is in Alabama, an African-American candidate in a conservative state. She's going up against an older white man who’s been in office since 2010. Morgan is a young Republican in liberal southern California, facing off against a congresswoman who’s held the seat for 17 years. Each thinks their community may be ready for change. In a few weeks they’ll find out for sure. In the early '90s Hana Schank and Elizabeth Wallace graduated from college with big dreams for the future. But more than 20 years later they didn't feel like success stories. Career and family life felt messy and underwhelming. But surely their friends from college had it figured out - maybe they could pick up some tips? Hana and Liz set out to interview the women they'd graduated with to find out how they'd channeled their ambition over the years and what their stories can teach the rest of us. The result is their book The Ambition Decisions. If you have a comment please post below, I’d love to hear from you. Further reading: Here you’ll find links to the original series of articles Hana and Liz wrote for the Atlantic that eventually led them to write the book. Why is it so hard to combine a career with military life? That's the question we look at in this show, brought to you by Stacy Raine, a military wife herself. Women who marry a US service member often start out with careers of their own. But as time goes by and families move around the country, military spouses find it tough to find work. This show looks at the reasons behind that, what we can do to change the status quo, and why the rest of us should care. Are you or have you been a military spouse? I'd love to hear from you in the comments.